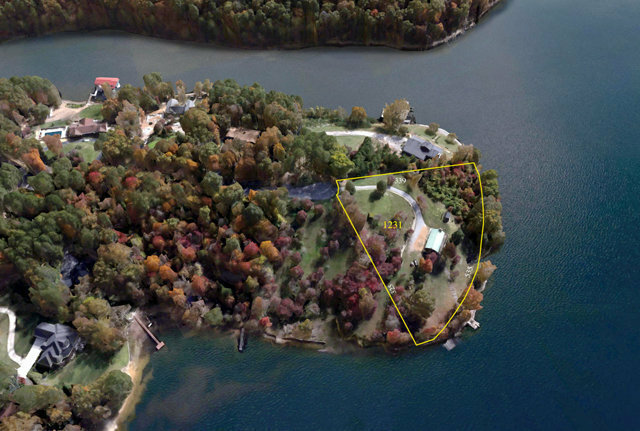 1 Level,2 Level, Residential - Soddy Daisy, TN Prime Peninsula Point Lot: 2.5 acres, 535 feet of year round water frontage. First time offer...breath taking long distance (180 degrees) views. Lakefront cabin...charming cul-de-sac, must see to appreciate. By appointment. Call listing agent for exclusive tour.